Each box comes with a foldable info sheet. The front always has a design related to the theme. This month it’s “Beauty in Bloom,” perfect for Spring. Every month they include all of the samples in a mini bag with a different design. This month’s bag is 100% recyclable and zips shut, which I like more than the typical drawstring bags. They’ve had these recyclable bags for a few months now. They seem to be the new normal, which I’m happy about! I am all for more dry shampoo in subscription boxes. I use it all the time. Amika is a nice brand, and also definitely nice-smelling across all their products! This dry shampoo works really well and made my hair smell good too. The formula has no talc or aluminum so there’s no powdery white residue. Sephora’s website describes this sunscreen as “a totally invisible, weightless, scentless, makeup-gripping, daily SPF 40” and I think it may live up to those claims! It applies really lightly and does well under makeup. The only thing I have to say about it, though, is that it is a chemical sunscreen, and physical sunblock is most effective/healthier for your skin, but they’re also the ones that tend to leave a white cast. Just something to keep in mind! This foundation is one I sold a lot of when I worked at Sephora because I think it’s a great formula, but unfortunately, this color is just too dark on me. This foundation has a buildable (medium/full) coverage and is formulated in a way that looks amazing on camera (as its name, “HD” suggests). This is the foundation I always used when doing bridal makeup applications! This is a fantastic color corrector – I’m so happy to have another sample! This moisturizer turns from green to skin color in a way that doesn’t show at all and totally cancels out any redness. Only recently have I started having some redness in my complexion and this moisturizer makes the perfect primer to prep for makeup. It’s a very thick moisturizer, but it works well on my dry skin after it sets and my skin absorbs it. If you prefer thinner moisturizers, I noticed that Dr. Jart just released a thinner version of this product, in more of a serum formula! I’ve tried this mascara before and I’m happy to have more. It works quite well! The shape of the brush reminds me of the shape of Too Faced’s mascara brush, and it adds definition and length pretty well. The formula itself is very black and contains polymers and jojoba oil to nourish and plump while adding volume. I didn’t experience any issues with smudging, but keep in mind that’s not an issue I generally struggle with. This is the second Replica perfume I’ve sampled and I like it a lot! This is a unisex fragrance that has notes of clove oil, chestnut, and vanilla accord. It’s a warm/sweet gourmand scent and that’s just the kind I like. Verdict: This month’s Play! by Sephora box has an estimated value of $30.71 which is a great value from a $10 box. I’m happy with this month, especially with the dry shampoo and the Dr. Jart+ color corrector. I enjoy my Sephora Play! boxes because they will always feature high-end brands! I love trying new things or getting extras of things I already love. Check out all of our Play! 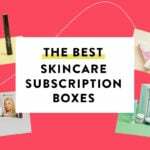 by Sephora reviews, our best beauty boxes, and all of our reviews of Cheap Subscription Boxes for other similarly priced boxes! For anyone looking to get rid of dry shampoo, I love the travel sizes. I can buy them or trade. I don’t use highlighters and eye shadows, so I have a lot. Also neutral lip colors. I have a feeling Sephora is going to be stopping this subscription soon. I finally cancelled after getting constant repeats. Looks like they’re just trying to clean out the warehouse at this point. Damnit – I’ve already received ALL these in previous boxes. I get that smudgie mascara every other month. Don’t they want us to try new products? I can’t even give the dry shampoo away anymore. I love travel size dry shampoo. If you have too many, I would gladly buy them from you. I feel like I got all these things in the last year I had Sephora before I canceled. I was on the fence about canceling after getting the same products over and over. Receiving 2 dry shampoos this month prompted me to finally cancel. Sorry Sephora. Usually we are box twins, but this time I only got half of your box, and maybe you wish you had mine. Ouai wave spray instead of dry shampoo (and I agree- can’t have too much dry shampoo, but the wave spray is more spring). The Dr. Jart camo drops have been out for a while, and while they do mask redness they don’t have SPF the way the color correcting treatment does. I use both, depending on the day! I feel like Haley and I get the same box pretty often, but not this time. This is the box I wanted, but based on spoilers, I got a crappy box. I do not need another Clinique eye cream. How many times can they send it to me? And why do I keep get drying or matte products when I listed dry skin in my profile? I ended up canceling a few months back after so many repeat products…and always getting moisturizers and stuff for dry skin when I have oily (when there were plenty of acne and oily skin options available). Ugh…. I got this same box too and was glad to get the foundation to try, but it did not work for me either. I also didn’t think the Dr. Jart did anything for me. I do love the scent though. I cancelled after this box.